I’ve made it a personal mission to stay on top of these Only Watch releases coming out for September’s charity auction in Monaco. The worlds top timepiece designers all come together annually, with exclusive offerings solely for raising money for muscular dystrophy. 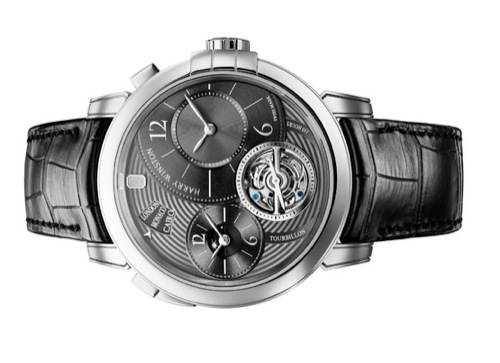 Harry Winston has just announced its contribution, with this Midnight GMT Tourbillon. 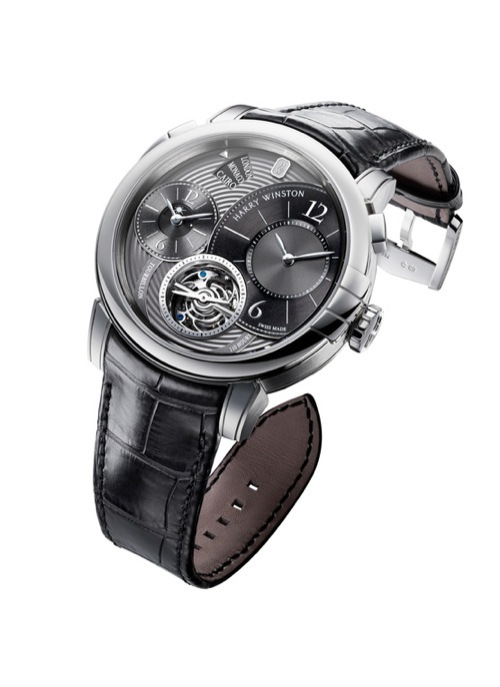 Enormous, the Tourbillon features bidirectional automatic movement, various information dials and a day and night indicator. Completed with an Alligator strap, we know the pure platinum watch, will be a true Only Watch contender. 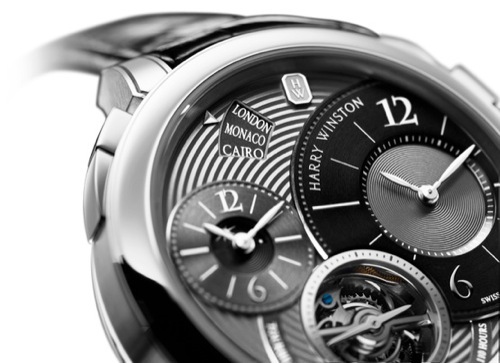 This entry was posted in Accessories, Collections, News and tagged GMT, Harry Winston, Monaco. Bookmark the permalink.